Auto repairs can dampen how much free time you have and they can ruin your mood. Nobody wants to be stuck on the side of the road with a car they once trusted. They want to have a car that drives healthily from now to the end of time, and our auto repair team understands this dilemma. Unfortunately, there’s no way to guarantee when your car will experience an inevitable break down, but our car repair experts can help by providing you with some of the most common auto repairs seen in this day and age. 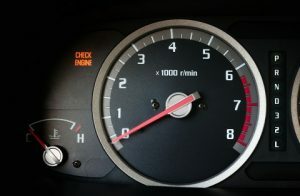 When was the last time your “Check Engine” light came on? Is it on right now? If it is, there’s probably an issue with your car’s oxygen sensor. Unfortunately, it can take some work to learn if your car’s oxygen sensor needs to be replaced. It costs around $240 to have the test completed, but for the price, you’ll receive an exact location of the issue and what part of the sensor needs to be replaced. Is your car’s “Check Engine” light still on? If so, it may be one of the easiest and cheapest fixes to date. If your vehicle’s fuel cap is cracked, the “Check Engine” light may turn on. Why? 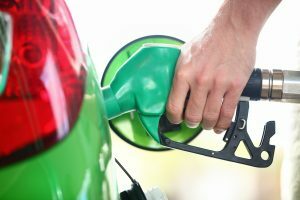 Because a loose or improperly tightened fuel cap can cause gas fumes to leak from the tank. In fact, did you know that over 95 percent of gas leaks in the engine are caused from an improperly tightened fuel cap? So, whether it’s cracker or just not tightened enough, you can fix the problem for a mere 80 cents. Join the leaders in the auto repair world in Tucson, Arizona today. Our ASE Certified Mechanics & Technicians have the knowledge, experience and drive to provide you with the most detailed and efficient auto repair possible. If you’re interested in learning what types of services and repairs our experts provide, visit us online here. You’ll learn about all of our services and can decide whether or not you’d like to take advantage of our Fixed Forever Warranty. If you need a repair, feel free to give us a call. If you’d like to learn more common auto repairs, feel free to stay tuned for our next blog: The Most Common Auto Repairs Part 2.